What's a girl to do when the babies are driving her crazy on a Friday and she's in the middle of an existential crisis? Go shopping of course, then out to lunch with her brother and a good friend! 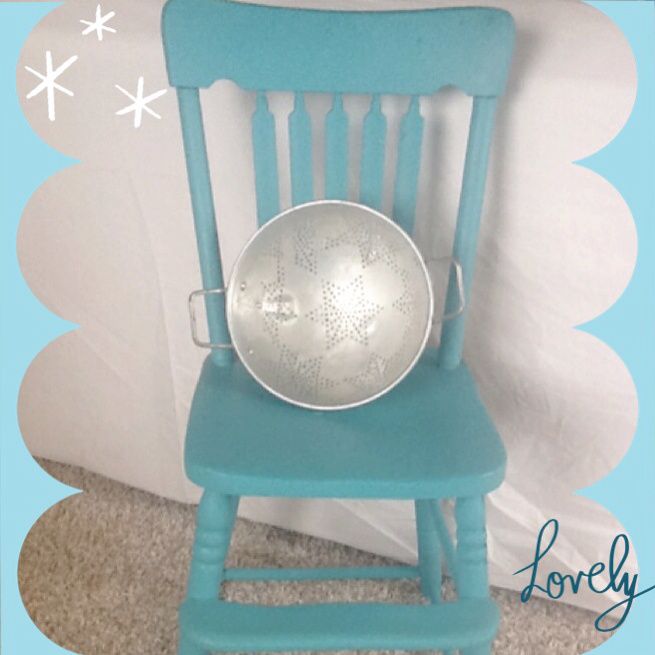 I couldn't help myself today when I found this bright turquoise chair at a local store and the star strainer was just what I needed to brighten up another gray skied day. P.S. A blog I follow just released a fabulous app for pictures! I used it on the photo above!